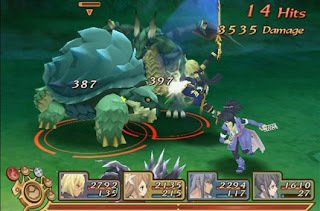 Tales of Symphonia HD Chronicles - Coming to PS3 Worldwide! 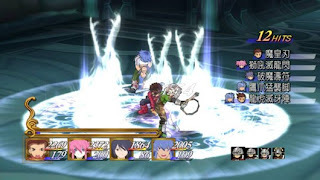 Last weekend, developer Namco Bandai announced that they would be releasing upgraded versions of critically acclaimed role-playing games Tales of Symphonia, as well as its sequel, Tales of Symphonia: Dawn of the New World. The announcement was made the Tales of Festival in Japan, in commemoration of Symphonia's ten-year anniversary. The collection has tentatively been titled Tales of Symphonia Chronicles, and is slated to release exclusively on PS3 in Japan on October 10 of this year. Namco Bandai also announced that North American and European releases can be expected in early 2014. Both games will be given a high-definition graphic upgrade, and will include additional content. The upgrade of 2003's Tales of Symphonia has been confirmed to include additional content from the Japan-only special edition. The bundle has also been confirmed to have new box art, cut-in animations, and costumes from other entries in the Tales franchise. Aside from a graphics overhaul, there have been no definite details on what additional content Dawn of the New World will feature. Some fans have questioned why the games are merely getting a graphics upgrade, rather than a full remake utilizing newer Tales engines. However, it is likely because Namco Bandai has focused the majority of its development efforts on its new title, Tales of Xillia, which is due for a release this summer. Tales of Symphonia remains the franchise's most profitable release in North America, as well as one of the highest ranked role-playing games of the past decade. Dawn of the New World, on the other hand, was met with mixed emotions, as some fans criticized its shallow storyline, and poorly-developed protagonists. Regardless, this new HD bundle brings back one of the most beloved RPGs of the past decade, and that alone should make it well worth the investment.